Diaxinol® is a cutting-edge cardiovascular supplement combining well-studied natural ingredients and appropriate dosages for those seeking to maintain balanced blood sugar levels. Works Great for Carb Cravings! This supplement is great. I have used it for blood sugar regulation in relation to PCOS, and it helps with carb cravings, blood sugar crashes, and also to balance out my cycle. I highly recommend! Other Ingredients: Natural vegetable capsules, microcrystalline cellulose, silicon dioxide, magnesium stearate and stearic acid. If you are pregnant or nursing. Consult your physician for further information. As with all dietary supplements, some individuals may not tolerate or may be allergic to the ingredients used. Please read the ingredient panel carefully prior to ingestion. Cease taking this product and consult your physician if you have negative reactions upon ingestion. 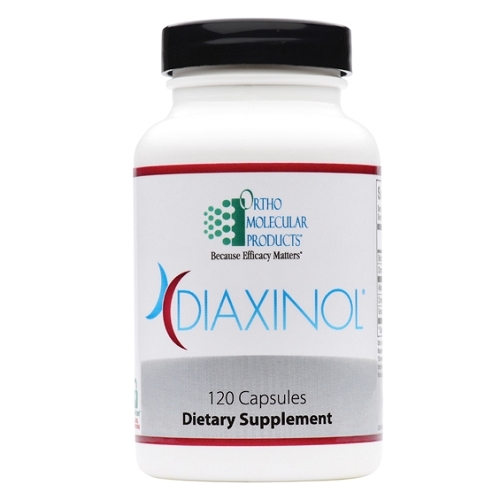 Diaxinol is a natural and synergistic formula for maintaining balanced blood sugar. Through enhanced signaling at the cellular level, Diaxinol’s blend of natural extracts and vitamins support healthy blood glucose levels. Diaxinol’s unique and effective formulation contains five ingredients provided at targeted doses for maximum efficacy. 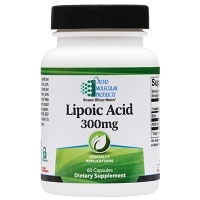 Alpha lipoic acid (ALA) is a potent antioxidant that supports insulin regulation, glucose utilization, and cellular metabolism. Cinnulin®, a patented 20:1 aqueous cinnamon extract, supports both balanced glucose metabolism and healthy blood lipid levels. Chromium is added to support glucose tolerance factor (GTF) production, a critical component in cellular uptake of glucose. 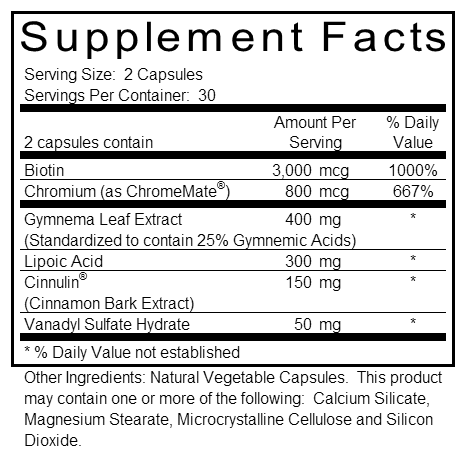 Vanadyl sulfate and biotin are also included to increase insulin sensitivity and support metabolic efficiency. Maintaining healthy blood sugar (glucose) levels can often pose a challenge because, on average, Americans spend 21 hours a day being sedentary.1 Additionally, we consume foods that are highly processed, refined, and contain excessive levels of sugar while offering very little in the way of micronutrients and fiber.2 Combining these lifestyle practices with genetic predisposition and high stress patterns make it very difficult to maintain adequate blood sugar levels. Healthy blood sugar regulation is a complex process that requires a number of metabolic factors working at optimal capacity. Part of this process includes a region in the pancreas called the Islets of Langerhans. This region has various types of cells involved in regulating blood sugar levels. If blood glucose levels fall (which often occurs due to stress or lack of food intake for an extended period of time), the alpha cells of this region secrete glucagon, a hormone that triggers the release of stored glucose (glycogen) from the liver and skeletal muscles. Conversely, when blood sugar levels are elevated, beta cells in the Islets of Langerhans secrete the hormone insulin. Insulin causes liver cells, muscle cells and fat cells to take up glucose from the bloodstream. The delicate balance of blood sugar levels is crucial for regulating the body’s production of energy. Micronutrients such as chromium, biotin and vanadyl sulfate are required to support enzymatic reactions and cellular signaling systems that maintain the body’s homeostasis. Diaxinol’s blend of ingredients helps support the body’s glucose and lipid-regulating mechanisms in order to help optimize energy expenditure and fuel storage mechanisms. Alpha lipoic acid (ALA) is a nutrient required for cellular metabolism, specifically the breakdown of carbohydrates and fatty acids.3 ALA has been shown to support healthy blood sugar balance by activating an enzyme called adenosine mono-phosphate kinase (AMPK), a major regulator of cellular energy.4 AMPK coordinates both long-term and short-term metabolic changes, leading to an improvement in energy production and a reduction of energy storage.5 AMPK activates cellular metabolism by improving insulin sensitivity, downregulating genes involved in fat storage and activating genes involved with burning fat.6 A study using a dose of 600 mg/ day of ALA over three months demonstrated that ALA helps support healthy lipid levels while improving oxidative stress (reducing free radical damage) by 38%.5 An additional study examining the effects of ALA on 74 subjects found that within the four-week, placebo-controlled trial, administration of 600 mg of ALA per day significantly enhanced glucose transport and utilization.7 ALA is also a potent antioxidant. It scavenges free radicals while aiding in the regeneration of the body’s antioxidants including vitamin C, vitamin E and glutathione.8 Through its antioxidant-boosting mechanisms, ALA helps maintain healthy blood vessel and circulatory health. 1. Hamilton MT, Healy GN, Dunstan DW, Zderic TW, Owen N. Too little exercise and too much sitting: Inactivity physiology and the need for new recommendations on sedentary behavior. Current cardiovascular risk reports. 2008;2:292-298. 2. Yang EJ, Kerver JM, Park YK, Kayitsinga J, Allison DB, Song WO. Carbohydrate intake and biomarkers of glycemic control among us adults: The third national health and nutrition examination survey (nhanes iii). The American Journal of Clinical Nutrition. 2003;77:1426- 1433. 3. Shay KP, Moreau RF, Smith EJ, Smith AR, Hagen TM. Alpha-lipoic acid as a dietary supplement: Molecular mechanisms and therapeutic potential. Biochimica et Biophysica Acta (BBA)-General Subjects. 2009;1790:1149-1160. 4. Lee WJ, Song K-H, Koh EH, Won JC, Kim HS, Park H-S, Kim M-S, Kim S-W, Lee K-U, Park J-Y. Α-lipoic acid increases insulin sensitivity by activating ampk in skeletal muscle. Biochemical and biophysical research communications. 2005;332:885-891. 5. Ruderman NB, Carling D, Prentki M, Cacicedo JM. Ampk, insulin resistance, and the metabolic syndrome. The Journal of Clinical Investigation. 2013;123:2764-2772. 6. Towler MC, Hardie DG. Amp-activated protein kinase in metabolic control and insulin signaling. Circulation research. 2007;100:328-341. 7. Jacob S, Ruus P, Hermann R, Tritschler H, Maerker E, Renn W, Augustin H, Dietze G, Rett K. Oral administration of rac-α-lipoic acid modulates insulin sensitivity in patients with type-2 diabetes mellitus: A placebocontrolled pilot trial. Free Radical Biology and Medicine. 1999;27:309- 314. 8. Packer L, Witt EH, Tritschler HJ. Alpha-lipoic acid as a biological antioxidant. Free Radical Biology and Medicine. 1995;19:227-250. 9. Qin B, Nagasaki M, Ren M, Bajotto G, Oshida Y, Sato Y. Cinnamon extract prevents the insulin resistance induced by a high-fructose diet. Hormone and metabolic research. 2004;36:119-125. 10. Sheng X, Zhang Y, Gong Z, Huang C, Zang YQ. Improved insulin resistance and lipid metabolism by cinnamon extract through activation of peroxisome proliferator-activated receptors. PPAR research. 2008;2008. 11. Ziegenfuss TN, Hofheins JE, Mendel RW, Landis J, Anderson RA. Effects of a water-soluble cinnamon extract on body composition and features of the metabolic syndrome in pre-diabetic men and women. Journal of the International Society of Sports Nutrition. 2006;3:45. 12. Magistrelli A, Chezem JC. Effect of ground cinnamon on postprandial blood glucose concentration in normal-weight and obese adults. Journal of the Academy of Nutrition and Dietetics. 2012;112:1806- 1809. 13. Doisy R, Streeten D, Freiberg J, Schneider A. Chromium metabolism in man and biochemical effects. Trace Elements in Human Health and Disease. 2013;2:79-104. 14. Mertz W. The interaction between chromium and insulin. Nutrition, Digestion, Metabolism: Proceedings of the 28th International Congress of Physiological Sciences, Budapest, 1980. 2013:101. 15. Anderson RA, Cheng N, Bryden NA, Polansky MM, Cheng N, Chi J, Feng J. Elevated intakes of supplemental chromium improve glucose and insulin variables in individuals with type 2 diabetes. Diabetes. 1997;46:1786-1791. 16. Morris B, MacNeil S, Hardisty C, Heller S, Burgin C, Gray T. Chromium homeostasis in patients with type ii (niddm) diabetes. Journal of Trace Elements in Medicine and Biology. 1999;13:57-61. 17. Kim K-H. Regulation of mammalian acetyl-coenzyme a carboxylase. Annual Review of Nutrition. 1997;17:77-99. 18. Baumgartner E, Suormala T. Multiple carboxylase deficiency: Inherited and acquired disorders of biotin metabolism. International journal for vitamin and nutrition research. Internationale Zeitschrift fur Vitamin-und Ernahrungsforschung. Journal international de vitaminologie et de nutrition. 1996;67:377-384. 19. Albarracin CA, Fuqua BC, Evans JL, Goldfine ID. Chromium picolinate and biotin combination improves glucose metabolism in treated, uncontrolled overweight to obese patients with type 2 diabetes. Diabetes/metabolism research and reviews. 2008;24:41-51. 20. Spence JT, Koudelka A. Effects of biotin upon the intracellular level of cgmp and the activity of glucokinase in cultured rat hepatocytes. The Journal of Biological Chemistry. 1984;259:6393-6396. 21. Matschinsky FM. Regulation of pancreatic β-cell glucokinase from basics to therapeutics. Diabetes. 2002;51:S394-S404. 22. Bhuiyan MS, Shioda N, Fukunaga K. Targeting protein kinase b/akt signaling with vanadium compounds for cardioprotection. Expert opinion on therapeutic targets. 2008;12:1217-1227. 23. Cohen N, Halberstam M, Shlimovich P, Chang CJ, Shamoon H, Rossetti L. Oral vanadyl sulfate improves hepatic and peripheral insulin sensitivity in patients with non-insulin-dependent diabetes mellitus. The Journal of Clinical Investigation. 1995;95:2501. 24. Halberstam M, Cohen N, Shlimovich P, Rossetti L, Shamoon H. Oral vanadyl sulfate improves insulin sensitivity in niddm but not in obese nondiabetic subjects. Diabetes. 1996;45:659-666.